On today’s episode of THE FOOD SEEN, after a decade working as a landscape designer, Ron Paprocki moved to Europe to study pastry at Elisabeth Knipping Schule in Kassel, Germany. 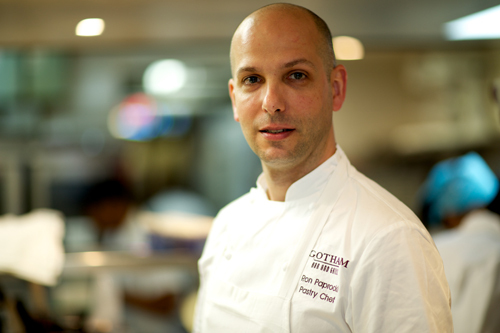 After an apprenticeship and diploma, Paprocki moved to New York City, to man the dessert program for Gordon Ramsay at The London. Eventually, Paprocki joined the #1 Zagat rated and NYTimes 3-starred Gotham Bar and Grill. 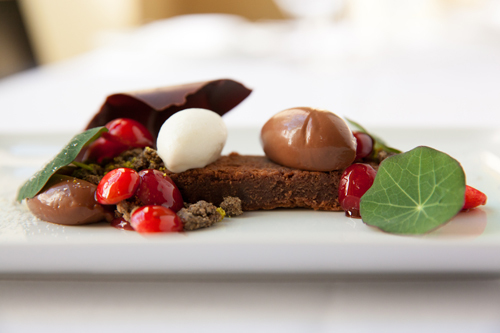 Aware the restaurant’s legacy and location, he utilized the nearby Union Square Greenmarket to showcase the natural acidity of fresh fruit in contrast with his master chocolate work. 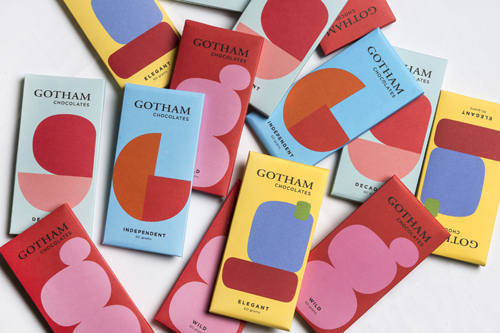 Recently, Paprocki launched a confectionary line, called Gotham Chocolates, influenced by a trip to Schwyz, Switzerland to meet with the historic chocolate company, Felchlin. Paprocki’s pastry arts draws from New York classics, as seen in his wrapper art inspired by The New York School of artists like Ellsworth Kelly and Frank Stella. This is a true story of old world meets New York.